5 Star Custom Shutter Review on Google From Shelly M.
Everyone we dealt with was very professional and wonderful to work with. If your looking for a beautiful way to update the old school, 90’s RV valance style window treatments that RV dealers, for some reason, Rv dealers continue to put in, I would absolutely recommend Custom Plantation Shutters from Kirtz Shutters! 5 Star Custom Shutter Review on Google From Anita H.
I have my whole house in Kurtz shutters. I love them. They keep the light out when needed and also shield the noise out. My house looks clean and neat without all the heavy drapes. They clean so easily also. This family run company has not only made custom shutters for my house but also for our sons home. Thank you Chris and family for a wonderful shutter. 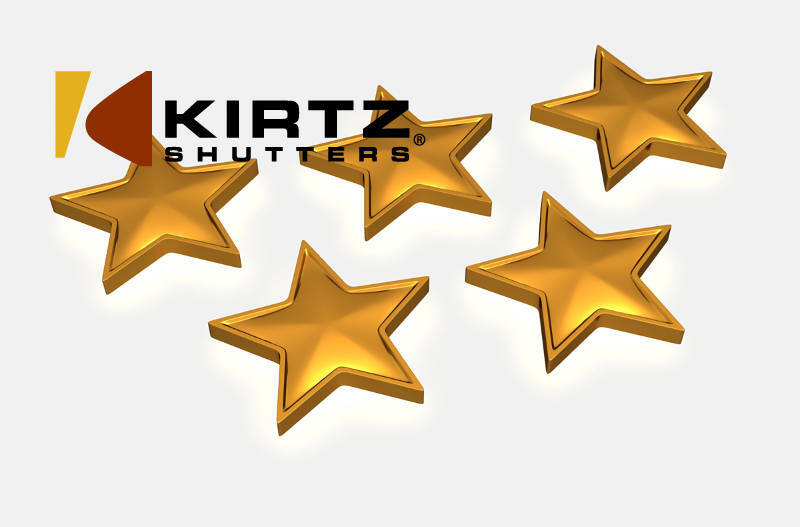 5 Star Custom Shutter Review on Facebook From Kim D.
The craftsmanship and quality of the shutter we ordered was amazing – I highly recommend Kirtz Shutters for anyone who is looking to have a beautiful shutter. The service we received from Chris Tietz from start to finish was also amazing! Thank you for providing us with such a quality shutter, we really love it! 5 Star Custom Shutter Review on Facebook From Christine H.
Everyone we worked with from Kirtz was amazing – especially Drew. He worked closely with us from start to finish – even replacing a few louvers that had minor flaws (OCD accommodating!) at no extra charge. Our shutters look stunning and are an investment we are so glad we made in our home. I would highly recommend this fantastic family-owned company to anyone looking for window treatment options! If you would like to have a success story like one of these when it comes to your custom shutter project, give us a call! Looking to paint or stain your shutters? Read here first! http://www.kirtz.com/wp-content/uploads/2018/08/5-Star-Reviews-Kirtz.jpg 527 800 Kirtz http://kirtz.com/wp-content/uploads/2016/04/kirtz-shutters-logo.png Kirtz2018-08-22 08:30:062018-08-22 12:18:43Happy Custom Shutter Clients! Kirtz In The News July 2018 Custom RV Shutters!